The Build-A-Bear Workshop video game brings the furry fun of making your own stuffed animal to young gamers. 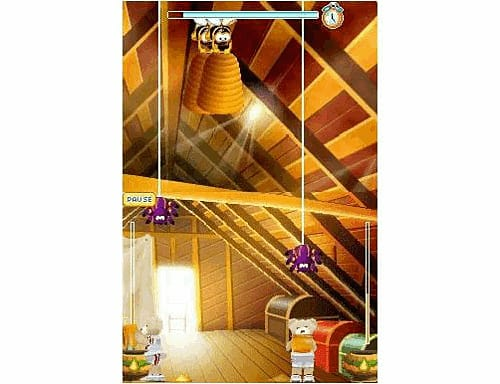 The gameplay offers a unique immersive experience, which replicates the process of shopping and creating your own furry friend when entering a Build-A-Bear Workshop store. 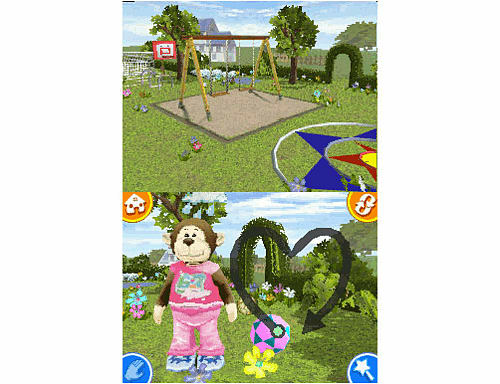 The game allows consumers to approach the Build-A-Bear Workshop concept with the same hands-on, do-it-yourself formula found in the retail outlets. This level of interactivity is achieved through the use of Nintendo DS touch screen and wireless technology, microphone capabilities, enhanced fully-rendered 3D graphics, as well as an innovative control mechanism. 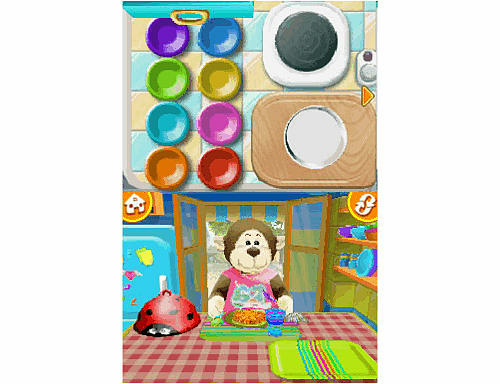 Using the Nintendo DS stylus to play, the game teaches young fans an array of fun tasks from how to cook meals for your friend in the kitchen, to teaching your furry friend new tricks in the garden, to learning how to groom and dress with the many outfits and accessories. Have a friend who also has the magic of Build-A-Bear Workshop for the Nintendo DS? Why not take photographs, trade costumes and play together wirelessly in this colourful interactive world? With so many different creations and accessories to choose from, fans will find themselves personalising many new stuffed animal companions to share with friends.